Audi has only teased us so far with sketches of its new city car duo, the Urban Concept and its open-top sister, the Urban Spider Concept. Now it's lifted the lid and issued these first photos of its 2011 Frankfurt motor show debutants. They're tiny electric runabouts, with two seats and an electric powertrain. 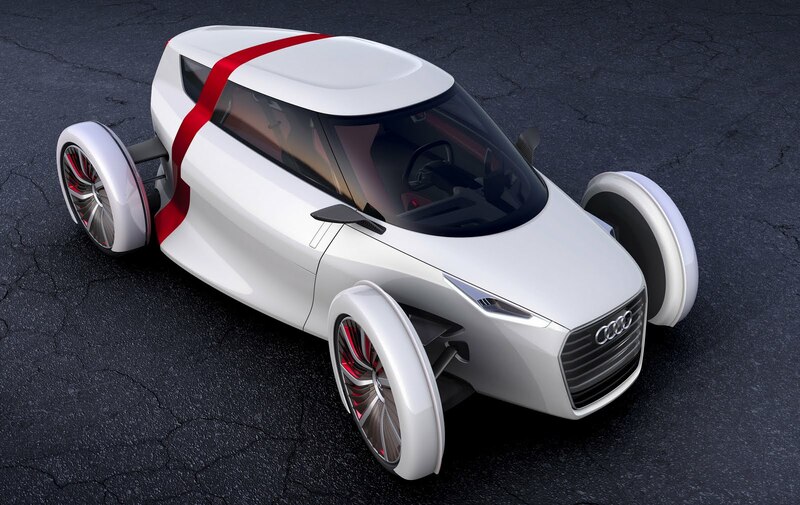 Kind of gives us an idea of what a sub-Audi A1 city car could be in future. Tellingly, though, parent company Volkswagen is set to show a single-seat electric project at the 2011 Frankfurt motor show, as we reported this week. Stretching to 3200mm long, 1700mm wide and just 1200mm tall. These cars are a showcase for Audi's lightweight knowhow, and they make use of carbonfibre reinforced plastic for a sub-500kg kerbweight, although the exact mass has not yet been disclosed. A pair of electric motors is driven by lithium ion batteries and Audi claims a 40-mile range for their city car pair. The Audi Urban Concepts will be revealed in full at the 2011 Frankfurt motor show on 13 September.